Saturday night has always been a nice time for the steemjetters. Lots of fun and goodies coming from the media crew. Everyone always looked forward to that particular show. Leaving everything behind to be a part of it as the fun was next to none. 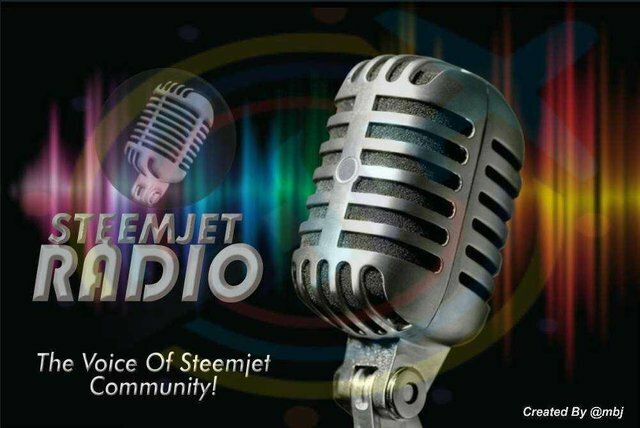 The shows on steemjet discord group are always informative. Lots of crypto experts allowing us to swim in their pool of knowledge. But they all knew tonight was gonna be different. Not the bad kind, no not at all. Something was gonna happen today, something that every steemian has been talking about for the past few months. The media crew had once again tried their best to make sure that their listeners get what they wanted. They had taken their time and a lot of efforts to make sure that today's show would be perfect. They had even gone as far as inviting someone who is highly respected in the Nigerian community. And so everyone rushed to the channel when it was time for the show. The likes of @julietisrael @afolwalex @imbigdee @sistem and @itoroarchibong came before the show even kicked off, they were that much excited. @mbj, @uche-nna @dawizy @morahn @prechyladiva @prayzz @mathemandy @kristenantai01 @jesse12 @ninoh22 @sweetim @michealCj @ubongj @sparrowbernard @henryglowz @Daniel otaniel @izuchukwu1506 @delis @bookoons @Dklef @yunchief @emekacollins @empato365 where all present in the show. The anchor @mathemandy came on air and introduced today's topic. It was the famous SIN2. "We have a special guest today" he paused maybe for dramatic effects, and he could tell it was working as everyone became silent. "Ladies and Gentleman, boys and girls, I present to you... Ehiboss" he announced and the listeners cheered. The knew it was gonna be a fun night as @ehiboss was the perfect man to talk about SIN2. she was so "exaitted" to be on the show. Too bad I was off/on on the show as I was sick prior to the program. Eyaaaaaaa sorry dear,I hope you are better now.. I really love the show.